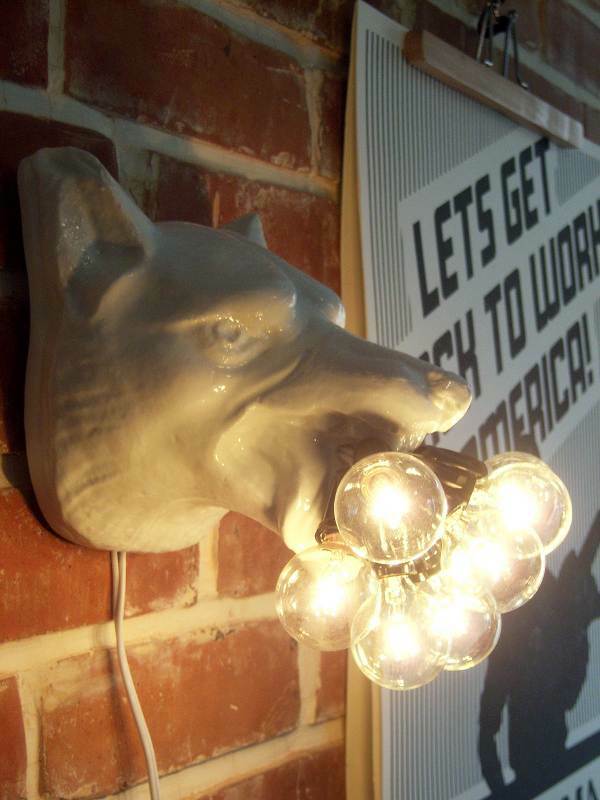 “Wolf lights” by Katie Parker and Guy Michael Davis from Ohio’s Non Fiction Design Collective. Another design piece with a often disliked and as much underestimated animal at its center. It is made out of porcelain with nine lightbulbs. Check also their massive chandelier out of wolf heads.